Hanoi (VNA) – Deputy Foreign Minister Ha Kim Ngoc and an interdisciplinary delegation made a working visit to the Vatican on August 23-24. At meetings with Vatican officials, both sides discussed the Vietnam-Vatican relations, including issues related to the Vietnam Catholic Church, in a frank and constructive manner. 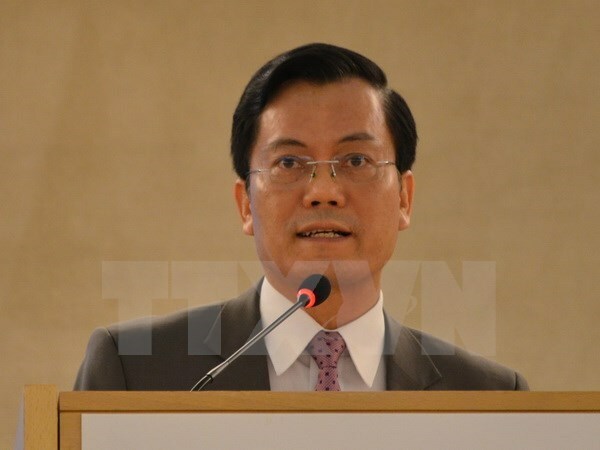 Ngoc affirmed that Vietnam pursues a consistent policy of respecting and ensuring the freedom to beliefs and religions of all citizens, while working hard to complete its legal framework on beliefs and religions. Vietnam encourages and continues creating optimal conditions for the Vietnam Catholic Church to actively engage in national construction, he said, adding that the country always pays attention to the demands of the church. The Vatican agreed that the Vietnam Catholic Church should continue realising teachings of the Pope on “good Catholics, good citizens” and the church’s spirit of living the gospel amid the nation. The Vatican also pledged to pay attention to strengthening the bilateral ties, and wished that the Vietnamese Catholic community would continue having positive contributions to society and abiding by the country’s legal regulations. The two sides also recognised encouraging progress in the Vietnam-Vatican relations over the past years with regular meetings and dialogues to promote mutual understanding.